Ihsahn sure is a busy guy. Since Emperor disbanded he has taken part in numerous groups as well as put out solo work. 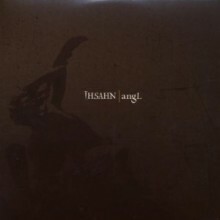 After diving into the experimental and traditional Norwegian folk styles with his new Hardingrock project last year Ihsahn is now back with his second solo album, entitled Angl. Offering a mix of progressive and black metal similar to 2005’s The Adversary, it is clear that the former Emperor front man is still tied to the styles he explored with them but also wants to experiment to an even further degree. While The Adversary saw Ihsahn press further towards the realm of progressive metal, Angl sees him taking a step back towards black metal while further expanding the progressive elements. There are some very Emperor sounding guitar and keyboard arrangements (especially on the opening song “Misanthrope”), but also some very interesting melodies as well. The music on this album is always changing and bringing in new elements, and it seems that Ihsahn’s songwriting has gotten even better since The Adversary. The only issue with this disc is that at times the production feels a little thin, as some of the instrumentals could’ve been made even louder to truly accent the black metal portions. The vocals are polished and filled with energy, as one might expect. Whereas his screams and shrieks didn’t really fit into Hardingrock, here they sound completely natural and enhance the heavy instrumentals. But the clean singing is also worth mentioning, as it is filled with melody and adds a gothic style to many of the songs. Ihsahn is definitely versatile, there is no doubt about that. However, what will really get people talking is the track “Unhealer”, which sees him shrieking along with Opeth vocalist Mikael Akerfeldt. Akerfeldt’s trademark growling may overshadow Ihsahn’s screaming, but it definitely is an interesting idea that is pulled off beautifully. Angl sees the former Emperor front man take another step forward with his solo work. This disc may not have had as much pre-release hype as The Adversary, but it is a release that Emperor and progressive metal fans alike will want to check out. The production could be slightly beefed up for the next Ihsahn disc, but as a whole this album offers a perfect blend of the progressive and black. It’s surely one of the better releases of 2008, although whether it’s better than the new Opeth disc will be entirely up to individual opinion.